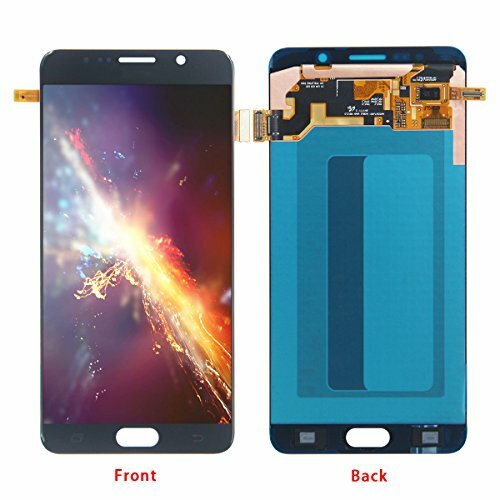 1.If you are looking for LCD Touch Display Assembly Replacement Screen for Samsung Galaxy Note 5,now you had found. 2.The Assembly Display Screen have been tested 3 times before shipping out ,for we have to ensure it 100% working.Buy with confident. 4.If you have any question,please contect us ,we will reply you within 24 hours and do uor best to help you and make you satisfied. This product is just fit for Samsung galaxy note 5,not compatible with any other phone models. If your screen is damaged,deal pixel,cracked. You can replace it with our screen to make your cell phone look like new cell phone. The product have tested three times before shipping,because we have to ensure that the product you accept is perfect.So buy it with confident. If you do not know how to install it,you can watch the related video on Youtube to learn how to install it(LCD Touch Glass Screen Display Digitizer Assembly Replacement for Samsung Galaxy Note 5 N920 N920f N920t N920a). Pakage including :1 x LCD Screen for Samsung Galaxy Note 5 + 1 x Retail Box.